A brighter, drier forecast will take shape Wednesday as our connection to deep moisture is lost. 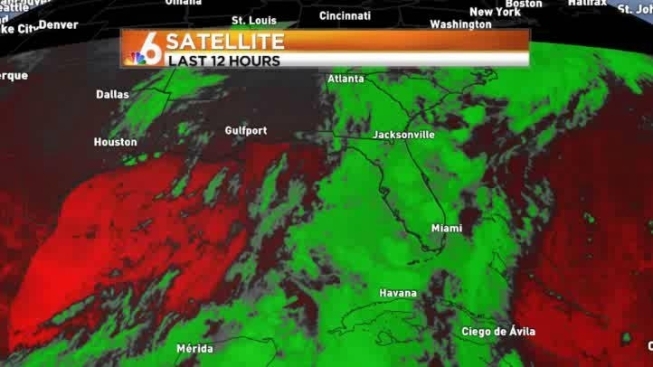 More stable air is drifting into South Florida, along with high pressure, to help tamper the shower and thunderstorm chances for the next few days. Mostly sunny skies will rule Wednesday afternoon with highs approaching 90 late in the day. South Florida should stay mainly dry with any shower chances drifting inland this afternoon. A few coastal showers are possible with lows dropping only to 80 Wednesday night. Thursday brings more sunshine and inland storms with highs again at 90.